For us Washingtonians unable to make the trek to the Derby, we have our own supplemental horse races that also take place on the first Saturday in May. They are known as Virginia's Gold Cup. 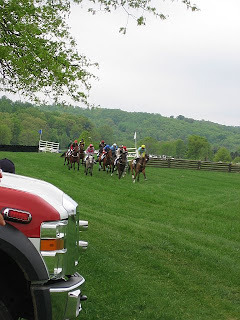 Having a later birth date than the Derby, Gold Cup started in 1925 in Fauquier County, a prosperous area in Northern Virginia known by many in DC as horse country. 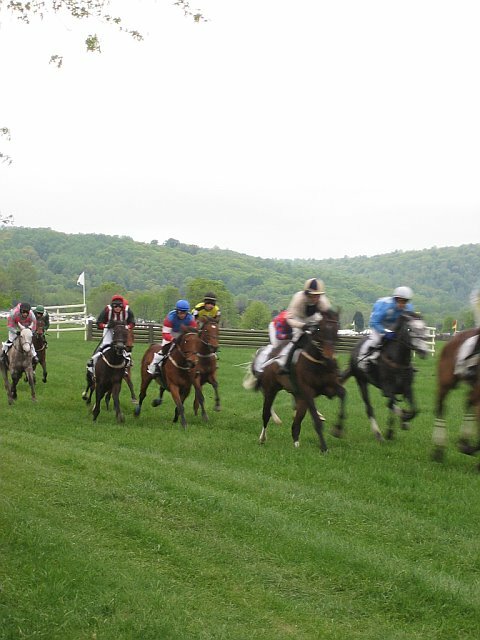 The races take place at Great Meadow in The Plains, VA, a little more than an hour outside the city. Buses start lining the city as early as 9am to take loads of Washingtonians out for a day at the races. 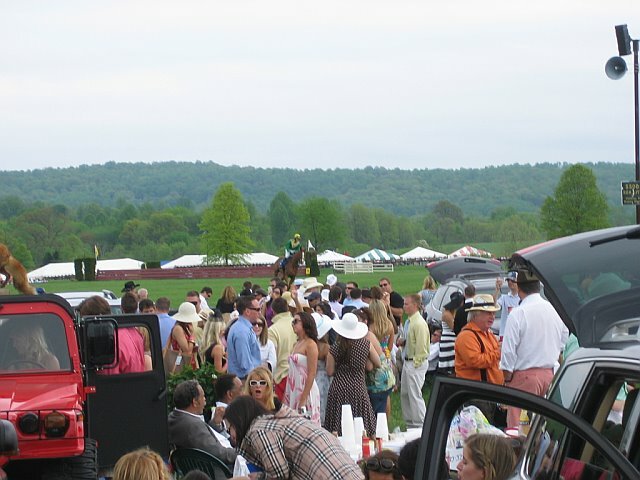 Unlike the track races at the Kentucky Derby, Gold Cup runs six steeplechase races. Steeplechases literally come from referring to a church's steeple when out on the hunt. The race is more of an obstacle course, including fences to jump, ditches to overcome, and other challenges to the rider that might have been faced if the horse was out hunting. It can be quite the spectacle to see, and once in a while you do see a jockey fall off. After all, horse hunting itself is quite dangerous. Thankfully paramedics are on the standby and there haven't been many significant injuries to note. Another entertaining aspect of Gold Cup, similar to the Derby, is crowd watching. Women bring out their hats and spring dresses. Men dress to impress, some with a sports coat and maybe a bow tie. The drink is pretty much the same with mint juleps to be found around every corner. Unlike the Derby, there is no in-field. You either cozy up on the grassy knoll, purchase a ticket to a tent, pull in your car and create a tailgate, or up the anty by getting a badge to be on Member's Hill, which has a wonderful view of the races. Every year entails the same debate, which one do we attend? Either way, you can't make a wrong decision. But the good thing about Gold Cup is that they do play the final Derby race (the one most people care to watch) on the big screen after the final steeplechase has been run. Oh, and I can't forget to mention that before the horse races begin, Gold Cup does have an adorable terrier race as a teaser to get the spectators started.